I have a lot of calculated fields in my forms. I am used to putting them at the end of the form (there may be up to fifty and more calculated fields), and I put the submit button right after I have gathered all the data. Another way of doing tricking the submit button was to include a jump page condition. Neither seem to exist in the card view mode. Or do I need new glasses? 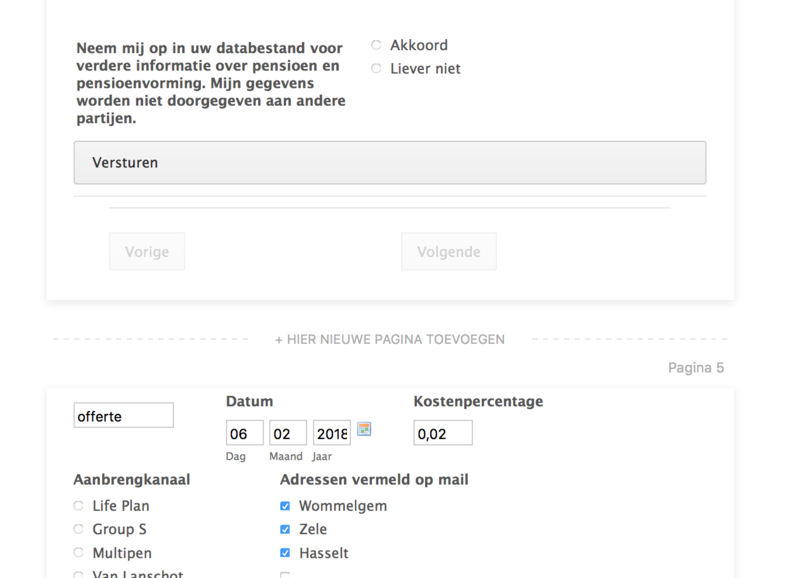 You will have noticed I have been playing around a bit with switching between card and singel form views. Unfortunately in the card form layout it is not possible to add a submit button or page jump condition. The submit button field and page jump condition are only available in the standard form layout (all questions on one page).